I know probably nothing will be done anyway but I\'ll post this anyway. 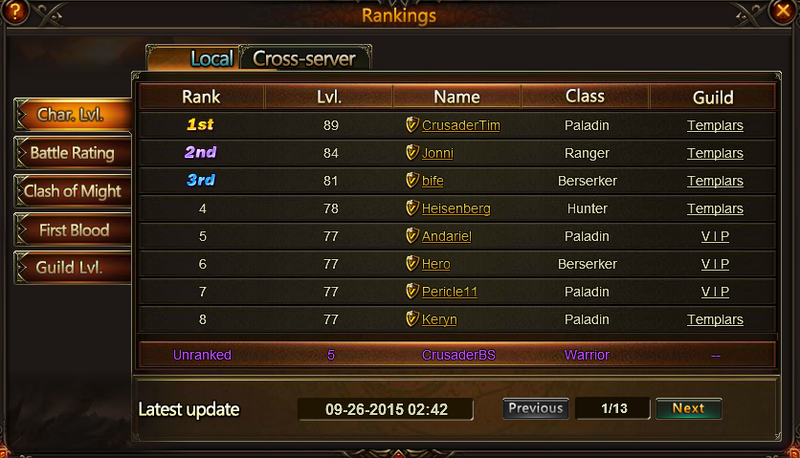 I notice that CrusaderTim from s890 was level 82 yesterday. I checked again this morning he was level 87 as you can see in the screenshot. If you take a look at his resources, you can see that the main source of his points comes from Blessed stones, Seraph stones and Element scrolls. I\'m guessing he is using some method of killing monsters in the element zone over and over again without a stamina limit. After making a character in the server I find that he\'s not the only one. I believe the top 3 players shown in the screenshot, CrusaderTim, Jonni and bife are cheating. Can any of the forum mods request an investigation into this? Update: He just hit level 90 after I posted this, so he went from level 87 to level 90 in less than 12 hours. Dear PLayer, I will make report and ask about this player. Hello moonlighty, is there any update? This server is Nehor-s890, it was open on April 8th, 2015, over 5 months ago. If you took a look at servers that open approximately around the same time give or take a few days;(e.g. Jacom-s886, Riplakish-s894), you will see the highest levels in those servers are around level 77-78. If you took a look at the screenshot above of the ranking bife, Jonni and CrusaderTim are way above the rest of the server. I just hope GTA will do something about it, it\'s stupid that they went from level 77 to 92 in 3 days and no one even said anything about it. We\'ve made other reports of other players jumping levels. The devs have been away on the weekend but Moon will get back to you as soon as he gets an update. he should be checked properly and not receive a answer all is legit , i really hope that won\'t happen here. Oh lol I have just realized this thread, how come no one realizes that this is definitely possible? 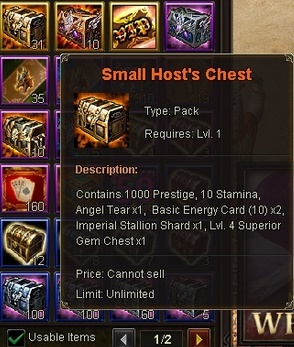 If you are VIP8+ you can do 8 feasts everyday and get a lot of these chests, you can buy daily value packs everyday at shop and many more from HoC. You can get much more chests if you toast with diamonds. There is some pictures of the chests which I collected, though I had much more before the tycoon. 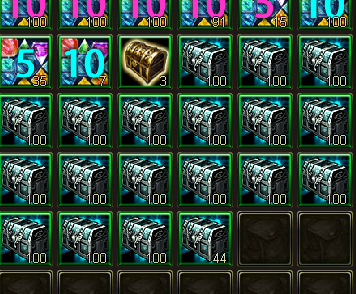 If you have some alt players with VIP too or some friends who are willing to toast to you,;you can definitely fill yourself with these in a long period within the game rules. Learn to play the game and first of all get rid of the seed accounts in tycoon instead of investigating legit players. Those chest are or can contain stamina not experience and even if you use them all there\'s no possible way or place to level up that fast. I remember you from cross server and I could almost swear that you were a level 72 and in 1-2 I find you at level 92. You\'re nowhere closer to the BR and the money spent on this game by 1 of the players from my server (VIP 9) and he is only level 77, only 1 level above 1 player and 2-3 above most players. if you are legit player then its okey but even with your stamina chests it would not be possible to lvl up so much and you are 3rd player who said same thing... and know what those 2 are banned ;and in 3 days from 77-92 its nearly impossible. 2019-4-21 16:56 GMT+8 , Processed in 0.066201 second(s), 52 queries .